We’ve all got wallpaper of one kind or another on our smartphones, but some people take the pursuit of visual backdrop perfection more seriously than others. If you want to ensure a steady stream of beautiful-looking images that you can customize—complete with context—then give TapDeck a try. 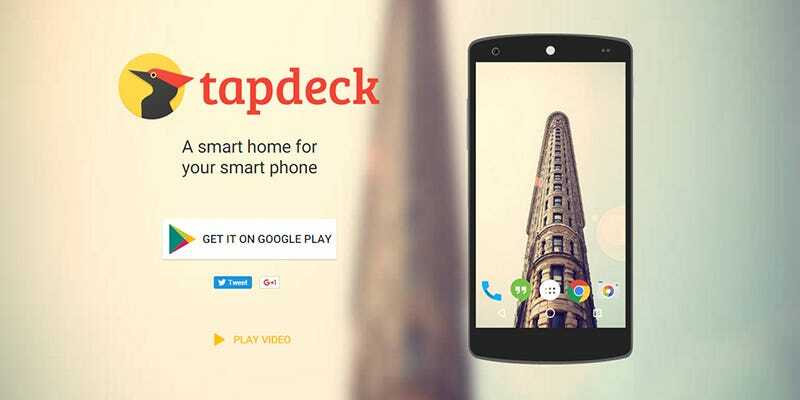 Available for free on the Google Play Store, TapDeck first and foremost pulls some great-looking pictures from the likes of Facebook, Reddit, Flickr, and Wikipedia. If you get bored of an image, double-tap it. If you want to know more about where it’s from, swipe up on it. The app works with a lot of popular launchers, including the default Google Now one. When you get the app up and running for the first time, you can choose from a series of “collections” that TapDeck will pick from. It’s also possible to “like” wallpapers to personalize your feed further. Dig deeper into the app and you can start following other users, share wallpapers with your friends or the wider community, and add more collections. The settings page available from the app’s menu is a fairly straightforward affair. It lets you customize TapDeck’s controls and adjust the wallpaper scrolling and brightness levels (just in case a picture obscures the text underneath your app icons). You need never have a boring or stale wallpaper image on your device again.